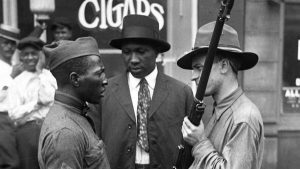 From “Red Summer” and the Red Scare in the United States to anti-colonial revolts and nationalist uprisings around the world, the year 1919 was a critical moment in the history of racial violence, radicalism, state suppression, and nationhood. This site offers resources to teachers and students to explore 1919 and its long-term legacies for racial justice on a local, national, and global stage. It is based on a conference presented by the School of Arts & Sciences at the University of Richmond.